IF YOU LOVE POLKA MUSIC . . .
…here’s an offer you can’t refuse! 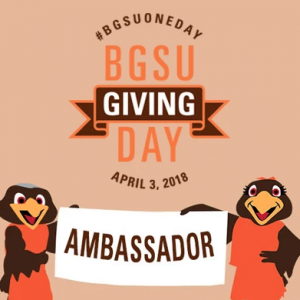 Donate to the Polka Preservation Fund during Bowling Green State University’s Giving Day (#BGSUOneDay) anytime between 8 AM ET on Wednesday, April 3, 2018, and 8 PM ET on Wednesday, April 4, 2018, and Music Publishers of America will match your gift dollar for dollar (up to $2,500 total). And any donor who contributes $50 or more will get from MPA, later this year, an mp3 from a new recording project under development with our colleague and friend Alex Meixner. To top it off, all donations made using this link will directly support the Polka Preservation Fund and are 100-percent tax deductible! Wanna hear more? Click on the video link below to get Alex’s thoughts, with a little of his music thrown in. To donate, click here and follow the simple instructions. Other BGSU funds and programs are participating, so be sure to indicate your donation is for the Polka Preservation Fund. Thanks in advance for your help in supporting this important initiative to preserve and promote this influential part of America’s musical heritage.